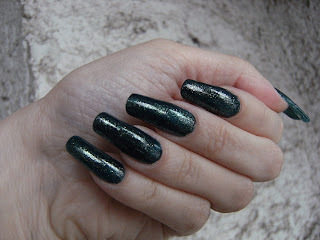 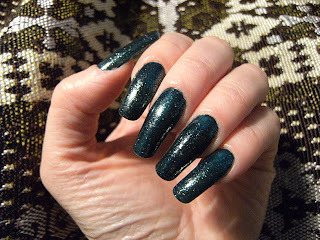 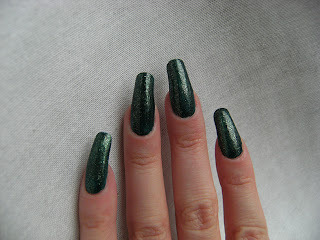 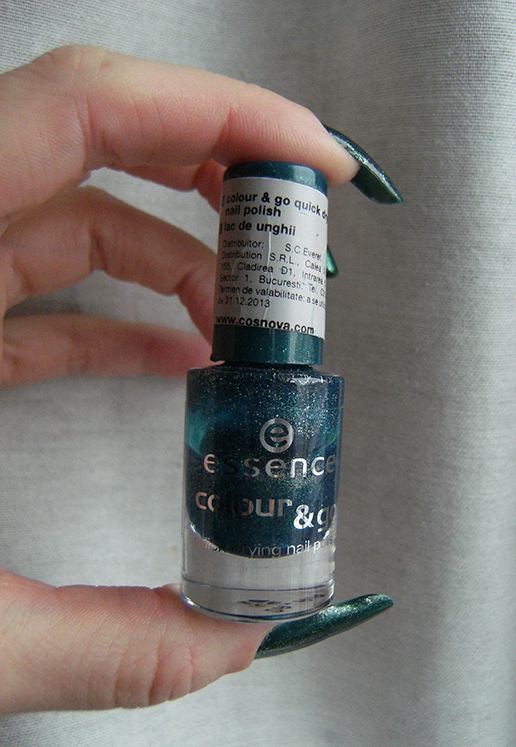 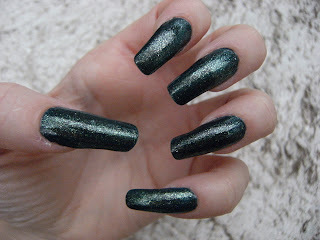 Today I want to show you one of the polishes I got last summer, Essence's Choose Me. 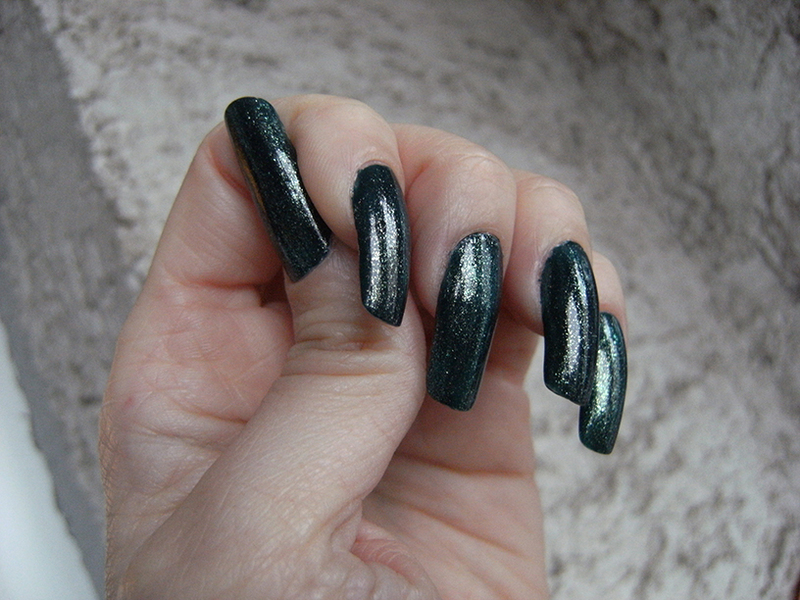 It's a sheer turquoise color with very bright green glitter, which sometimes has a gold sheen to it depending on the angle. 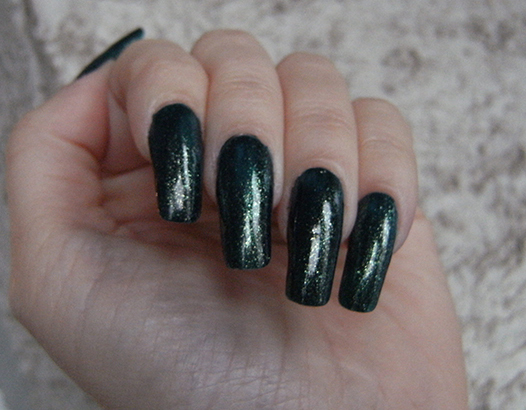 It can definitely be worn on its own, but it's a bit too bright for my taste. I'm currently wearing it on top of one layer of Seventeen Cosmetics 63, which I also talked about in my previous blog post. 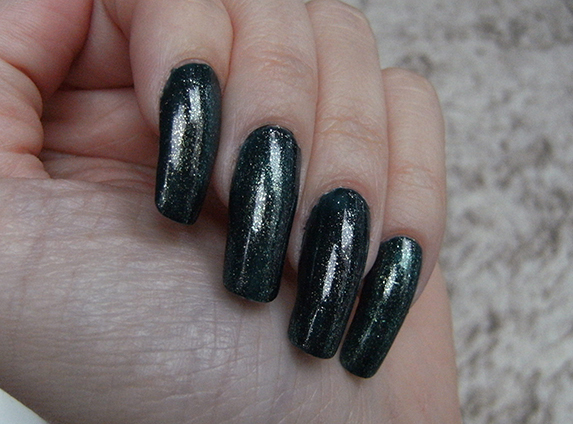 Choose Me would need two coats to look opaque on its own, but for my layering experiment I only needed one. 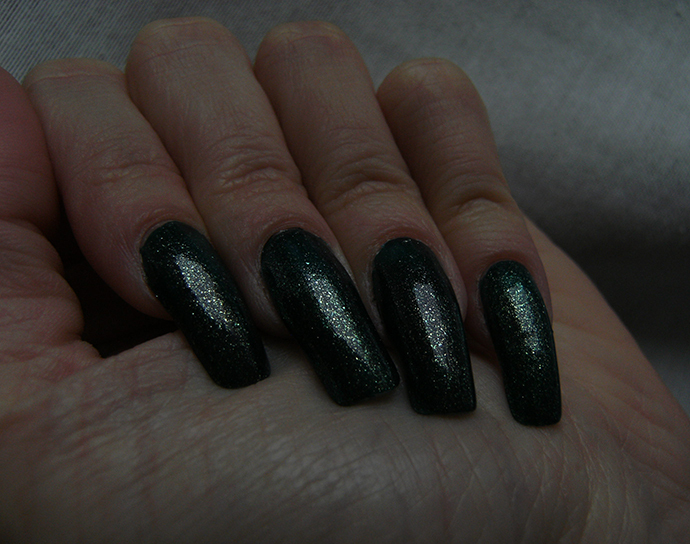 It's definitely not a duochrome polish, but the glitter makes it look greener when you're looking at it from certain angles; most of the time, though, I would describe it as turquoise. 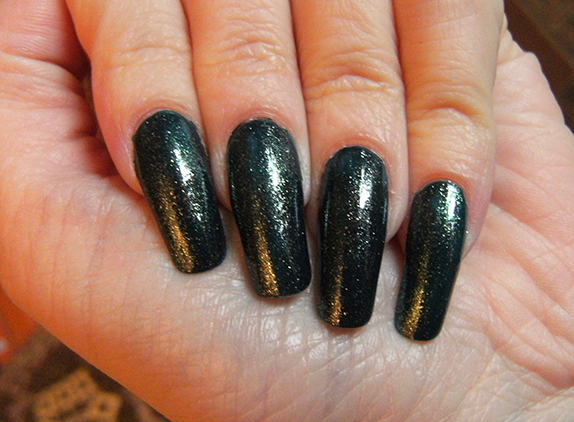 My favorite thing about it is how shiny the glitter is. I'm not even wearing a top coat in these pictures. 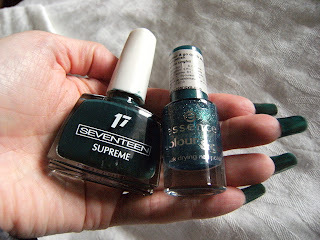 I have a few more Essence polishes, and I intend to write about those as well. I think they're pretty good overall, especially since they're so inexpensive, and I definitely do recommend them.